I am probably the antidote of fashion. My standard outfit these days is made of worn-out t-shirts, old sports shorts, and plastic sandals (sort of). Nothing poetic for sure. So, it may surprise you that from time to time, I am inspired by fashion, their designers and their shows to present the spring/summer/autumn/winter collections. I like the word “collection” for a body of work, and thematic portfolio. I admire the designer and their teams for the endless patience and discipline to churn out every quarter another collection and brand new fashion show. Some shows become “classics”, sometimes because of the extravaganza and spectacular tricks and effects, others – the better ones – because they resemble more poetry than anything else. I was pleased to bump into this great article by Angelo Flaccavento in Business of Fashion, titled “In Paris, a Fight for Supremacy”. Here are some interesting quotes highlighting the difference between sensationalism and pure quality that may inspire you to deliver better work, not just noise. convinces you it’s time for a diet, or a detox. Turning codes into a cliché is dangerous. are truly disruptive these days. Moving forward no longer seems to be a priority. that give the impression of constant renewal. The impression of constant renewal. Think about that. The talk is about design and architecture, but you will notice it’s really about a different way of living, of reflecting about our world. Also check out The Why Factory: a global think-tank and research institute led by the same professor Winy Maas. You can also find some awesome research publications there. Individualism: Is it about staging, making a statement? Pop is about the (style of) the performer. Pop is about belonging to a tribe. The tribe of the style of the performer. Pop is about selfies. Pop at its worst or most extreme is probably like Netherland’s rap “artist” Boef performances who films himself on stage, and his fans filming himself filming film. A strange loop of pop. A strange kind of loop. Like an endless mirror. 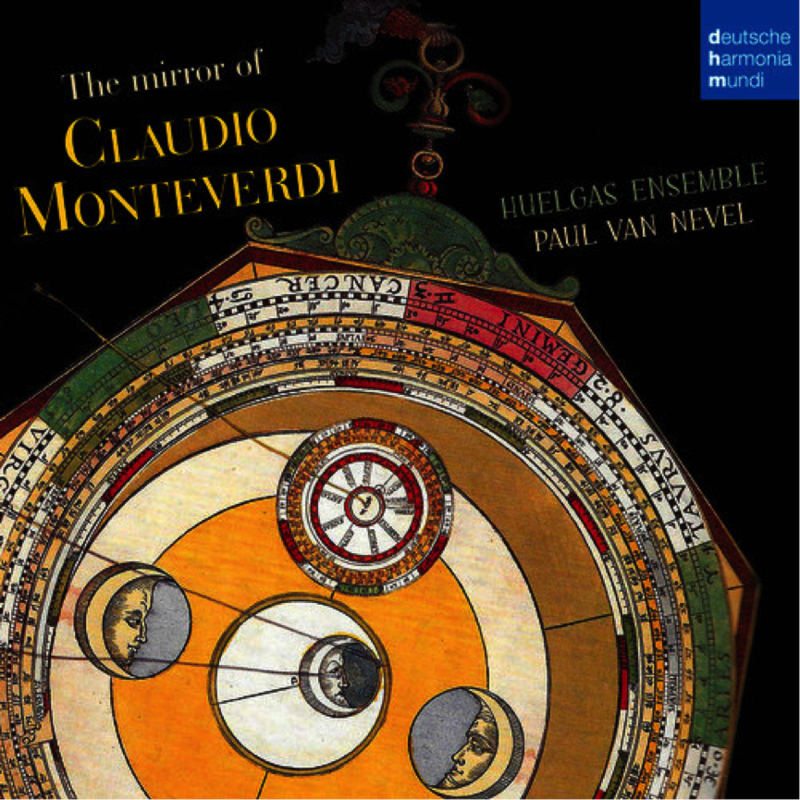 Instead of that endless empty mirror of pop, I prefer the mirror of Claudio Monteverdi, not only for the magic polyphonic music by the Huelgas Ensemble on this record, but for the way Monteverdi was staging as an artist. “Enjoyable Disorienting” ! Wow ! It has to do with self-image or self-picture. Picture as in Alva Noë’s Strange Tools. Picture of a role. It has to do with role. Being somebody or nobody. With or without role. Anonymity. The anonymity I am thinking about is one of role-lessness. The anonymity of being normal. The anonymity of Buzz Aldrin, who was the second man walking on the moon. Being in the front, or blending in the background, like the fashion designer who just says hello at the end of the show and then disappears. Who is the composer and who is being staged? Without the composer, all the rest does not happen. Roles and titles. Role-ness or title-less. Is the focus of our energy the work itself or the attention for our confabulated stories – crafted after the facts – to make/fake sense of why we do what we do? Titles are usually confabulations. That’s why it is probably better to drop them altogether from our bios, business cards and alike. They are an explanation after-the-fact. To make/fake sense for and about ourself. The attention is on self, not the other, not the audience, not those who come to listen. Painting the role. Painting the knight, the farmer, the father, etc and not the man. Filming the filming rapper or not. Rembrandt and Cranach are not in the same kind of business. They made different kind of pictures. Painting the man (as a mask – or the physical container) and painting the person is a different kind of business. Staging the speaker and staging the person is a different kind of business. Staging content is not about letting see what others already see. It is about letting see what you see and others do not see yet. Whether it is in painting, or making poetry, or architecting an experience, I believe we have to approach all of them like artists. By practicing and getting better at the art of staging, staging like in choreography. This goes beyond pop, roles, and style. A different kind of business: the business of stagecrafting. Or is this yet another strange loop of labeling when I just want to get rid of labels, roles, and titles? I have a file on my computer called “Open Threads”. It’s a collection of reflections, thoughts, interesting articles, links etc. A sort of inspiration scratch book indeed, where many of my blog posts are emerging. I am in the process of organizing my art studio (it still feels aseptic clean, as the floor, walls, pots, tables and canvasses still need to feel their first drop of paint). Now that I am more or less settled into our new home, I started opening up the different piles of notes, sketches, and also this Open Treads file. I puts me in a state of fear and boredom, hungry for silence and serenity. Browsing the inspiration scratch-book – listening to some heavenly polyphonic music by Collegium Vocale and dreaming away on their Crete Senesi Festival – I found back this interview of artist Philippe Vandenberg, interview by Hans Theys, a well known art critic and curator here in Belgium and beyond. I had the pleasure meeting Hans during his fireside chat with artist Hilde Overbergh in The White House Gallery some months ago, where we had a chat about bringing together art and business as part of Petervan Productions. I still have to followup on that conversation. The interview is in Dutch, but is subtitled in English. I started to write the transcript of this interview, but then thought Hans may already have the full transcript. I asked, and indeed he has, and made it kindly available to me in both Dutch and English. “In this video we meet the artist Philippe Vandenberg in his studio in January 2009, a few months before his unexpected death. For 40 minutes the camera swerves through his studio, filming drawings, paintings, books, photographs and other objects scattered about while the artist is talking about his work.The central thought holds that Philippe Vandenberg considers himself to be a ‘witness for the prosecution’, which is described as ‘témoin à charge’ or ‘getuige ten laste’ in French and Dutch, implying a kind of ‘burden’. At the end of the film Vandenberg returns to this term and concept to characterise the artist Vincent Van Gogh. It is not about a theme. It is about an attempt. What fascinates me is that the noise of an image is inaudible. Images are silent. I am very fond of silence. Of the absolute silence. The noise an image produces is an inner sound. It’s less exhausting… than a symphony. When I hear one of Wagner’s symphonies on the public radio, those very long symphonies of 1-2 hours, I always wonder what he must have felt when he composed them. I’m am fond of swiftness (“schichten”). I love rapidity. I also paint very fast, in swift phases. I am not a painter who tortures himself for hours. If the painting doesn’t cooperate, I will say: “OK”… I will put it aside and finish it later. “Delay of execution” is a wonderful tradition. I think we need to be alert. To survive. What is inspires us more than television? You have to watch the BBC of course. For otherwise you could start believing you live in the center of the world. Above all the atrocity of the media resides in the mixture of comic and inhumane aspects. This is the idea of “Prudent Radicalness”, so well articulated by Belgian writer Stefan Hertmans as part of his intro (PDF) to the 2017 season of Collegium Vocale and the 70th birthday of their Artistic Director Philippe Herreweghe. Subservience and sovereignty, and the restless eye to stay alert, being a “Témoin à charge”, get rid of the noise, and let others see what we see. These are some good principles to take with me on the rest of my journey. Hans Theys (Brussels, °1963) is a Belgian art critic and curator. He has written some thirty books on contemporary art and has published numerous essays, interviews and reviews in books, catalogues and magazines. He has curated 35 exhibitions. He teaches at the Royal Academy of Fine Arts in Antwerp and Ghent. Greetings to you, your friends and your family! Hope you are doing well. It’s about four months already since I started my long-term sabbatical as Petervan Productions. Artschool continued at +/- 9 hours per week practice in the art studio of the art academy. Getting nudged by my coach to do more focused image analysis, and be more concentrated and relaxed. Pretty happy of these two recent paintings. During Jan/Feb 2017, I spent some significant time writing the script for the performance “Tin Drum Is Back” (see details below). I visited some great art exhibitions and had some very pleasant conversations with art curators. I am still reading and making plenty of notes that may end up in some blog post or essay soon. What is the narrative about? What’s next for the performance? There is a load of material ready to move into produce now, but it’s going to take more time to get this funded and delivered with the high production quality standards envisaged from the start. I have fine-tuned a bit the ambition of Petervan Productions from “to architect and create high quality feedback loops to enable immersive learning experiences and deep change” into “to architect and cultivate high quality feedback flows to enable immersive learning expeditions and deep humanistic change”. Scripting the performance “Tin Drum Is Back” has been somewhat cathartic in the sense it is a further reflection on where I come from, where I am, what I am meant to be. It makes me think deeply about what is the essence of Petervan and Petervan Productions. The performance feeds back into the ambitions of Productions and the other way around. I feel grateful for some high quality conversations on “deep change” with a private collective of thinkers, experts, artists, designers, and curators during Jan and Feb 2017. Those discussions may lead into some body of work articulating what we mean with “deep change” and what are the levers and accelerators to make that sort of change happen in organizations of all kinds and sizes. I was deeply influenced by Jean Russells latest book “Cultivating Flows. How Ideas Become Thriving Organizations” (Amazon Affiliates link) which I strongly recommend. no meetings, no calls, no texts, no email, no Slack, no Internet. You instead work deeply on something (or some things) that matter. In the meantime, I kindly reject any requests for consultancy, speaking engagements, etc. I have 1-2 leads that want to work with me as their architect for immersive learning experience events. But I am not in active prospection mode. If there is something worth reporting, next update is for May 2017. Looking forward to hearing from your latest adventures as well. I am now one month into detailed scripting of my upcoming performance “Tin Drum is Back”. As mentioned in my last post, the narrative arc seems to be about evolving archetypes and levels of maturity. How the light gets in…. But I started wondering how the light gets OUT… Like my skin would be lattice. Like the skin of this musallah. Riyadh / Saudi Arabia. Architect’s rendering of the musallah. What is needed for somebody to crack open like this? To get rid of all the ballast, and to stand in full onlyness ànd vulnerability ànd feeling happy with the way that is? Wild is the Wind” is the first song of this amazing concert that is worth watching every of its 60 minutes. However, when he sings and smiles “you’re life itself” (at 2:40 and 4:10) that’s when shivers go down my spine and tears start rolling. Every time again. Why is this? What is happening to me? Is Tin Drum about finally daring to stand in fire and vulnerability? Of letting my “onlyness” coming OUT through the crack(s)? Instead of hiding in a Hannibal-like shadow of complexity and impenetrability? Cracking open seems to be about daring to stand in the fire, allowing the truth to come in and out, and allowing to loose myself and letting myself getting overwhelmed. It is about letting go of my masks, my defences. Being overwhelmed is something we are fearful of and at the same time can be helpful as we transition from one age to the next. If our defenses are always solid, never breached, then the possibility of anything novel emerging is reduced. It often takes a moment of being overwhelmed before that part of us that we are defending can be seen. In the moment of being hurt, overloaded, caught out, tripped up or humiliated – we get a chance in those moments to see and work with the part of ourselves we spend the rest of our time enclosing in a protective shell. As we spend time at the edges of what we know and can cope with, the container is strengthened. When we can’t cope, the cracks can allow us to integrate an experience that has been shielded for a lifetime; but refuses to go away or stop causing problems in the rest of our lives. During my sabbatical, I am indeed spending time at the edges of what I don’t know and what I don’t know to cope with. At the edges of my existing communities, at the edges of new – more artistic – communities. Also, the painting lets me re-discover the true meaning of being in the flow. But I have to get more clarity. Tell the story with fewer words, less images, less brush strokes, less gimmicks. I am trying to say too much. I am still trying too much to impress, not express. “The more easy gimmicks, the more solid the content needs to be”, says my paint-coach Ann. So many metaphors between paint and real life. The longing for clarity of touch, pitch, colours, harmonies, and chords. But for now, still too much noise, both physically and mentally. where frequencies and overtones create the mystic. What are your cracks? When was the last time you built defences against standing in the fire? When was the last time you put up a wall and defences against it? When was the last time you allowed the crack to put a spell on you to get in touch with your true self? I recently had some conversations with prospective clients on the need for alignment and coherence of physical and emotional space when trying to create great experiences. I started to call them “sacred spaces”. As you know by now, I am not in the events business. I am in the business of creating high quality feedback loops to enable immersive learning expeditions and deep change. In essence, I want to resonate with my client’s guests at another (additional) level than the pure cognitive. I believe this ambition also requires its own awareness and vocabulary, but more about that in some later posts. One aspect of that vocabulary is our expression of sacred spaces. What first comes to mind is a church, a cathedral, some religious building of some sort. In the best cases, the moment you come in, you are struck by a lightning of beauty, awe, stillness, and grandeur. The entry into the space feels almost ceremonial. You cross the entry, the line between outside and inside. The experience of the space sends vibrations down your spine. You feel suddenly whole and small at the same time. This whole- and small-ness creates some kind of safety; some form of familiarity that this space is the right space, that this space is right. Just right for what it was designed for. I think in similar terms about the spaces for our experiences. Our spaces must be safe spaces. Closed as with an entry door. The entry into the space is a ritual moment. The coming out as well. It must be a physical experience: guests have to walk through the “arc of change”. They must do this in a “communion” style, as a collective, creating a visceral experience of the collectivism in their change process. The space is about “roundness”, round as in circle, but also round as in generative, coming back to the starting point with new insights. I love the idea of the cupola. In my opinion, the closed space described above needs a roof – like a cupola – with some lattice membrane. But at the same time, the space needs to be “porous”, with light (the crack) coming in through the lattice, and light (enlightenment) coming out to inspire others. Or even better, some form of post-enlightenment as in Danny Hillis’ entanglement. I was looking for some good description of sacred and sacredness. I think I found it in an article about a fashion book by Belgian fashion designer Ann Demeulemeester. Happenstance that I visited this week Casa Argentaurum, an art gallery in Ghent run by Caroline De Wolf, who kindly opened her space for me. It was one of the last days of the exposition about Ann Demeulemeester’s jewellery. At the end of our conversation, Caroline gave me a copy of the catalogue of the 2010 exposition “Things, Thoughts, and Territorities”. It could have been the tag-line for Petervan Productions, as I see myself as the architect who conceives, gives birth to the vision together with the client, and then pulls together and orchestrates the resources, experts, and artists to create a unique experience in search for the secrets of life. But “you can’t find secrets without looking or them” (quote by Peter Thiel in his book “From Zero to One”), so I am looking for your views on what you would expect from a sacred space. I am looking for architects, space- and stage-designers to be part of our collective of leaders, visionaries, artists, craftsmen, designers and producers. If you are interested to be part of that calling and dialogue, you can just leave a comment on this post.